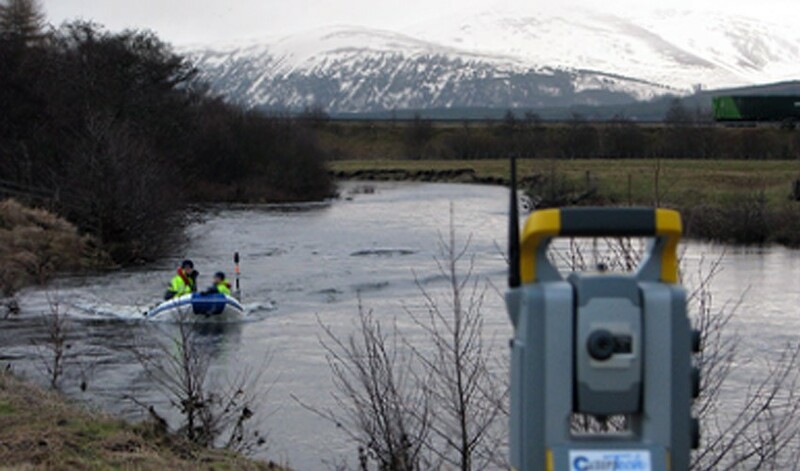 A survey of the River Spey in the Kingussie area was required. We utilised our experience of river surveys to carry out this job safely, on time and within budget. 9 Cross-sections were required on the River Spey and a further 11 were required on the burn which runs through Kingussie. In total 10 bridge structures had to be surveyed and have cross-sections produced. The river was in places over three metres deep so our boat and echo-sounder had to be utilised.